In all the time I lived in the UK, and the many visits back, I had never gone to York. And now I am embarrassed by that fact. York is now, hands down, my favorite English City. It has TONS of history - Founded by the Romans to keep down the Picts; Taken over by the Saxons upon their departure; Then the Vikings; Then the Normans; Then the English. Henry VIII plotted his Schism with Rome and therefore the creation of the COE here. Richard III Ruled England from here during the War of The Roses. It is chock full of Architecture (with a capital A); Roman. Saxon. Viking. Norman. Medieval. Elizabethan. Georgian. Victorian. Horrible cement blocks of the post war era. It is home to a pretty cool railway museum that has amongst it's collection, the "Mallard" which is the fastest steam train ever run. And it has a city wall. Way cool. 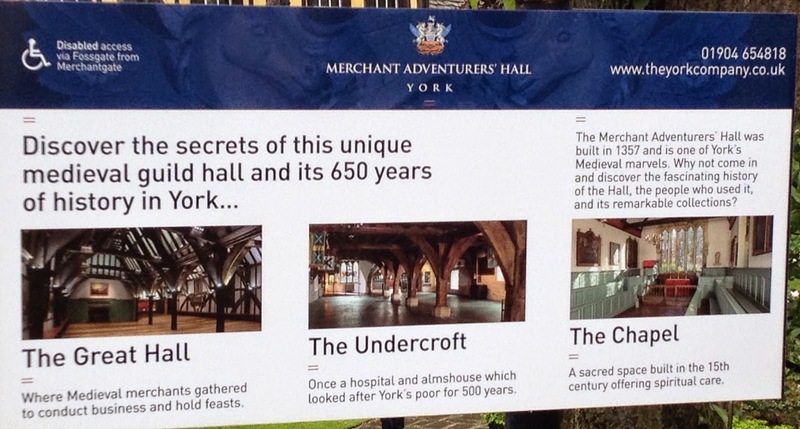 A word about the photo above - it's the Medieval merchants guild hall. 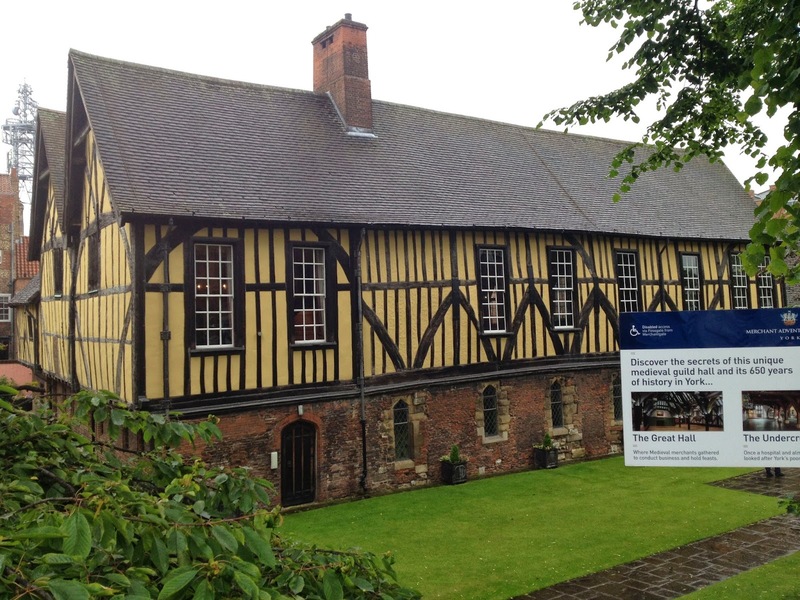 This is where the "Merchant Adventurers" met. Now just what is a "Merchant Adventurer"? It's a Merchant who seeks out and develops foreign markets. I guess that makes me a Merchant Adventurer.